I had once heard a tip that women could use Rogain to regrow over plucked eyebrows, which I thought was genius! 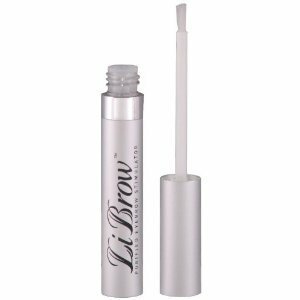 But if you want the Brooke Shields look and something specifically formulated for the purpose of filling out your eyebrows, you can buy LiBrow at Amazon for $100. Pricey, but the reviews are overwhelmingly positive!